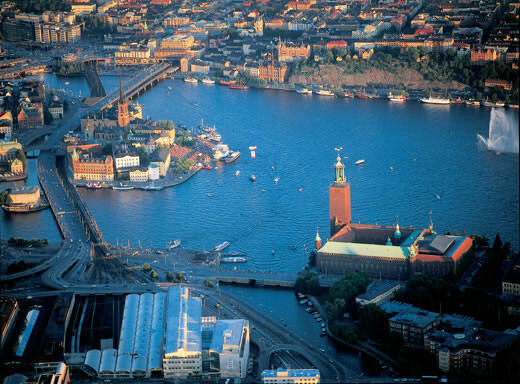 Founded in 1200, Stockholm started out as a port destination. Sweden’s capital city often is called the “City That Floats On Water.” The Baltic Sea meets Lake Malaren in Stockholm’s Old Town, giving the city not only a reach into the Swedish countryside but also to the rest of the world via the sea. The waterways have always served as important transport lanes to and from the city. The journey to Stockholm’s city center begins nearly 50 miles east, at the tip of a beautiful archipelago comprised of 30,000 islands, islets and rocks. Many of the islands are uninhabited, rocky outcrops that are homes only to birds. Others have quaint red-and-white Swedish cottages. Once docked at one of several locations in Stockholm, cruise passengers find it easy to make their way (by foot or taxi) to Stockholm’s Old Town and the city’s other attractions. Ships too large to navigate the archipelago safely must dock one hour’s bus ride away. Sweden’s capital is built on 14 islands. Most popular of those islands and receiving more than 10 million visitors each year, Djurgården (translated as Game Park) is an island park right in the middle of Stockholm, perfect for a pleasant two-hour stroll.At the Vasa Museum, the restored Royal Warship Vasa, which lay at the bottom of the sea for more than 300 years after it sank on its maiden voyage in 1628, is on display with more than 4,000 coins, carpenter’s tools, sailor’s pants, fish bones and other pieces of archaeological interest retrieved along with nearly all of the ship’s 700 original sculptures. Among the many attractions for culture seekers and sightseers are world-class museums, including the world’s oldest open-air museum (Stockholm’s Skansen). Nearby, Stockholm’s Östermalmshallen market is renowned for its traditional Swedish food, some international offerings, and fresh shellfish. The Nordic Museum contains fascinating exhibits of how people lived in different parts of Sweden throughout the ages, with exhibits encompassing costumes, tools, furnishings and dwellings. Excursions around Stockholm include Sigtuna, Sweden’s oldest town; Steninge Palace and Cultural Center, featuring an 18th century palace and a national heritage stone barn; Uppsala, featuring Sweden’s oldest university and largest cathedral; Mariefred and Gripsholm Castle, with Sweden’s largest portrait collection and the country’s oldest inn; Skokloster Castle, one of Europe’s best-preserved baroque castles; and the Stockholm archipelago, with 30,000 islands, islets and rocks that can be reached by boat from Stockholm’s city center. Stockholm’s beauty is legendary. A modern capital city with a flourishing business life it has successfully retained its history and natural splendour. 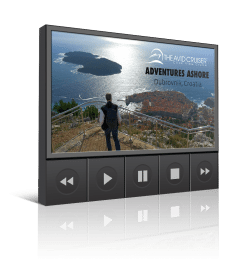 Founded in the 13th century, the narrow streets and medieval buildings of the Old Town sit comfortably close to the modern harbour and port facilities, office blocks, hotels, cafes and of course, cruise ships. Set across 14 different islands, water accounts for a third of Stockholm’s total area and contributes significantly to one of the world’s most alluring cityscapes. Its numerous waterways are criss-crossed by 57 bridges, while green parklands seem to be around almost every corner. And during the long summer days there are countless open-air drinking and dining options for enjoying the magnificent natural setting. Entering Stockholm is to sail through one of the most unique natural scenarios in the world – the archipelago. Made up of over 24,000 small islands no other place has this unique beauty. You dock right in the centre of the city, just steps away from a wealth of cultural treasures to the city’s elegant stores and historic sights. Stockholm’s popularity as a cruise port has grown significantly in recent years. Stockholm is a shopper’s paradise. World famous for its design and crystal, you’ll find a whole lot more from exclusive fashion stores filled with the latest trends, to handicrafts and souvenirs. For the Non European Union visitor it is easy to get a refund of the local sales tax (VAT) on purchases. Stockholm itself is a city of culture. With over 70 museums throughout the city, there is something to suit everyone’s taste. Don’t plan on sitting around while in Stockholm because there is plenty to do. Why not rent a paddleboat and see the city from the water – or check out Stockholm from above while gazing from a hot air balloon. "Stockholm Overview" doesn't have any sub pages. 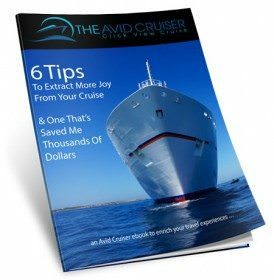 Avid Cruiser Posts, Photographs and Videos Featuring Stockholm.